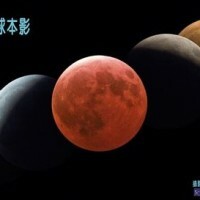 TAIPEI (Taiwan News) -- The skies over Taiwan tonight (Jan. 31) will be illuminated by the extremely rare trifecta of a super, blue and red moon. 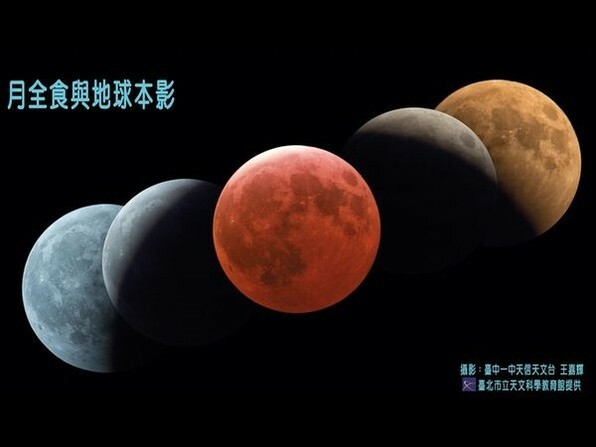 Starting from about 6:50 p.m. tonight until about 12:10 a.m tomorrow morning, the incredibly rare event which has been called the “super blue red moon” will occur over the Asia-Pacific Region, including Taiwan. 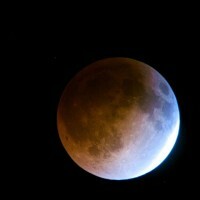 The most recent lunar eclipse was 2015, the last blue moon eclipse was in 1982 and the last time a super blue red moon occurred was way back in 1866. The term "super moon" refers to the point when the moon is closest to Earth, making full moons appear larger and brighter than usual. A "blue moon" refers to the occasional phenomenon of two full moons occurring in a single month of the Gregorian calendar. Falling on the last day of the month of January, this full moon will be the second in the month after the full moon that occurred on Jan. 3. 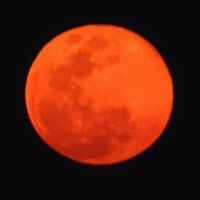 A "red moon" also commonly called a "blood moon" refers to the coloration caused by the lunar eclipse, as the shadow of the earth moves across the moon’s surface. 6:50 p.m. - Penumbral eclipse begins. 7:48 p.m. - Partial eclipse begins. 8:51 p.m. - Total eclipse begins. 9:30 p.m. - Maximum eclipse. 10:08 p.m. - Total eclipse ends. 11:12 p.m. - Partial eclipse ends. 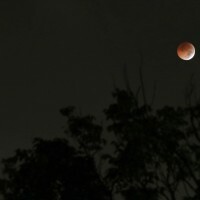 12:10 a.m. - Penumbral eclipse ends. Unfortunately, Taiwan's Central Weather Bureau is predicting cloudy skies with occasional rain tonight in northern, central and eastern Taiwan and the outlying islands, while southern Taiwan will be mostly cloudy. 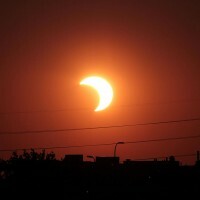 As the chance of a break in the cloud cover is greatest in southern Taiwan this evening, residents there have the best shot at seeing the eclipse, though it will depend on Mother Nature.